The public Library of Lösnich celebrates ist 120-year anniversary in 2010. The first documented entry in the statistics, which was an membership contribution of 39.- reichsmark, was found in 1890. Since then the library is provided in the ground floor of the vicarage. In 1980 Mrs. Gertrud Harzen took the library in her hands. She updated especially the stock and with her dedication it growth to an meeting point for the young and the young at heart. After the turn of the Millennium the digital age has founded an entry also here. The loan is now Computer supported and a lot of DVD and computer games has enhanced the stock. In 2007 Karin Simon took the library in her hands an together with Nicole Steffni-Becker they have created an meeting point for all bookworms in and at Lösnich. Currently the library has 280 active bookworms, who can enjoy at over 4000 print and digital medias. To this day the band “Heimattreu” Lösnich exists for more than 8 decades. 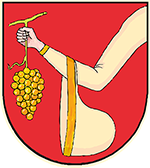 It was founded from the already existing association “Heimattreu”. First conductor was Peter Caspary. 1936 founding member Stephan Arns took the baton and hold it until 1977. Today the band has conducted by Robert Sägesser and managed by Joachim Schwaab. The band consists of 25 active musicians and 100 members. Successful activities of the band are the annual spring concert, the” Lösnicher Musiktage”, the celebratory marches in Lösnich, Erden and Andel and last but not least the winemaker’s procession of the “Middle Mosel Wine Festival”.